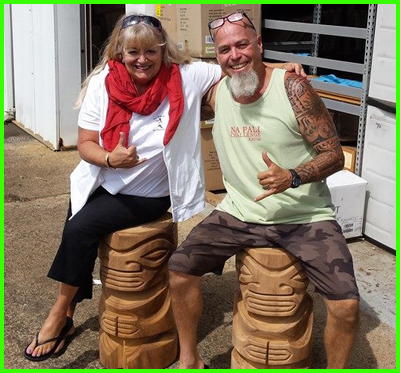 Jill Marie with Tiki Carver Bill Collins of Kauai (Tiki Stools in Kitchen) Finished product in my kitchen. 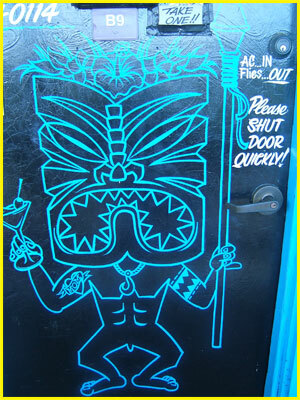 Very inspirational while mixing tropical concoctions. Don't get too close! 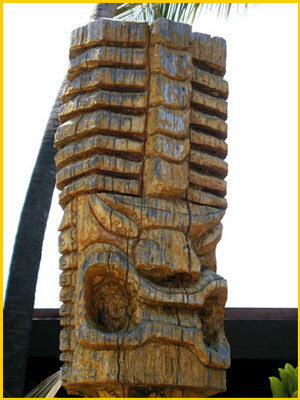 This tiki is a memorial to professional surfer Jay Moriarity and it is located at Pleasure Point in Santa Cruz, CA. 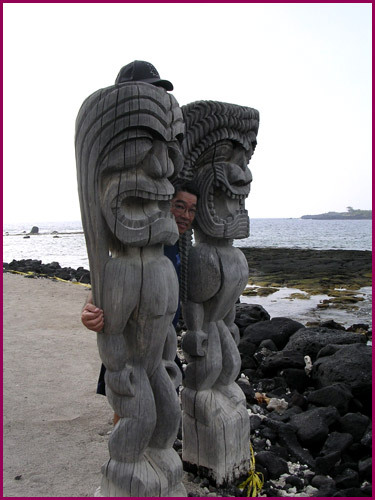 Al Kaku between two tikis at Honaunau, Kona, Big Island aka City of Refuge. Al says this was the beach where he played as a child. 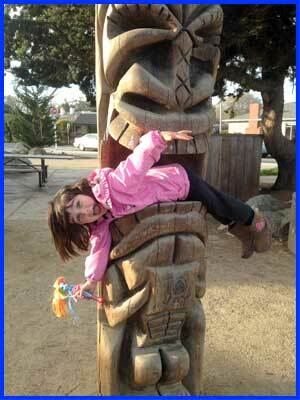 Note that one of the tiki is wearing his California State University Long Beach baseball cap! Photo by Lou Kaku. 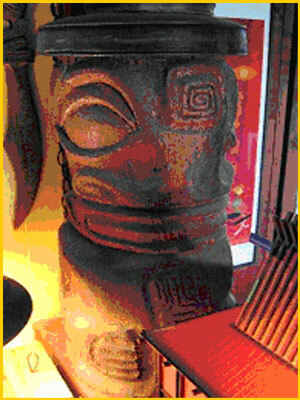 Have you seen this Tiki? 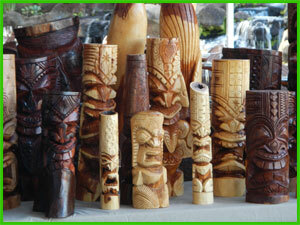 Can you tell us where it is located? 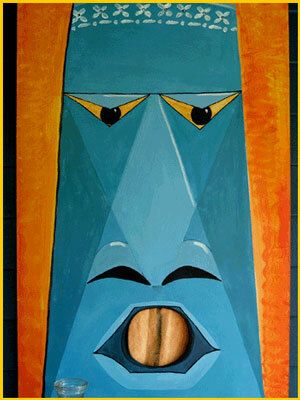 Tiki Toss painting by Jill E. Davis, Long Beach, CA. 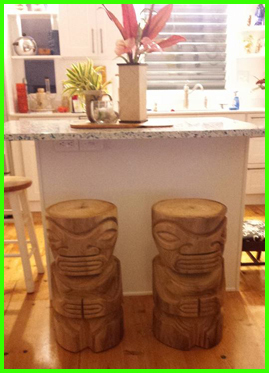 Tiki barstool submitted by Tom T. Tiki, Lancaster, OH.